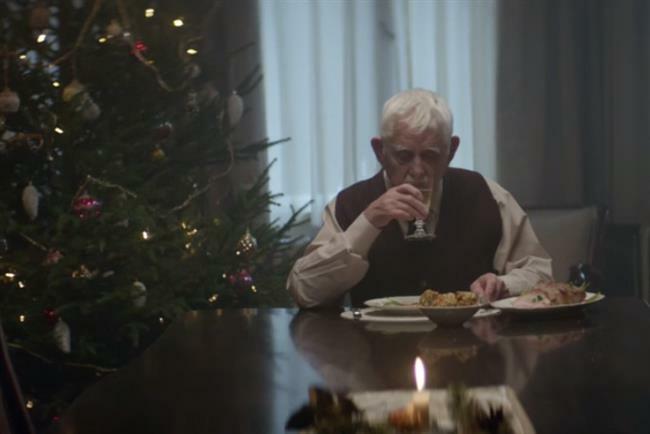 Edeka, the German supermarket, has overtaken John Lewis with the most-shared Christmas ad. An old man who has spent Christmas alone for many years fakes his own death to bring his family together. As they enter his home for the wake the dining table is laid out and the old man appears and says: "How else could I have brought you all together?" The ad has gone viral after being shared 3.4 million times in the past seven days. A young girl notices a lonely old man on the moon and makes it her mission to let him know there is someone on Earth thinking about him. The ad has been shared 115,448 times this week. A four-year-old girl is given a remote control for a Volvo FMX that she tries to navigate around a gravel pit filled with obstacles. The ad has been shared 99,447 times this week. The author Judith Kerr resurrected children’s book character Mog for Sainsbury’s festive ad. The cat nearly ruins Christmas for the Thomas family, but in the end their neighbours come to save the day. It has been shared 80,571 times this week. Selena Gomez helps the Victoria’s Secret Angels sing "Hands to Myself" from her new album. It was shared 52,007 times over the last seven days. 6. Red Bull "the fourth phase | teaser"
The ad, which received 30,626 shares this week, gives a glimpse into the snowboarder Travis Rice’s highly-anticipated return in the film The Fourth Phase. A young man receives a hideous Christmas jumper as a gift but is able to summon a cheerful response after drinking a can of Irn Bru. It has been shared 19,968 times. The car brand celebrates the film Star Wars: The Force Awakens with a year-end sales event. The video was shared 16,031 times in seven days. Coming in ninth place with 15,101 shares, Amazon’s TV ad tells the story of a small horse that feels lonely in a field with big horses. His owner comes to the rescue with a purchase from Amazon Prime. 10. Apple "Someday At Christmas"
Stevie Wonder and Andra Day perform Wonder’s 1967 holiday classic, Someday at Christmas. Apple’s festive ad received 14,011 shares over the past week.